In some positions, men were paid as much as $40,000 more per year. On Tuesday April, 2, two Disney employees filed a lawsuit against Disney, arguing that the company systematically pays women less than men and that it “tends to value male workers more than female workers.” The day that this lawsuit was filed was signifiant — April 2 was Equal Pay Day, the day that symbolizes how far into the next year women must work in order to earn as much as men did in the previous year. There are currently two plaintiffs in the lawsuit, LaRonda Rasmussen and Karen Moore. Ms. Rasmussen has worked as a financial analyst for Disney since 2008. In 2017, she discussed her pay with Disney’s human resources department. It was then that she discovered that the six men who held the same title as she did all made substantially more. Ms. Rasmussen earned $109,958 per year, while her male colleagues earned between $16,000 to $40,000 more per year. In November 2018, she was given a $25,000 raise (along with two other female employees). Nevertheless, she still makes far less than her male counterparts. A company audit performed by Disney at Rasmussen’s request revealed that across the board, women were paid less at the company. This was partially due to Disney’s policy of basing employees’ salaries on their previous salary with other employers. This practice tends to make the gender and race wage gap worse. In 2018, a law went into effect in California that prohibits all employers from requesting a job applicant’s salary history. According to a California employment discrimination attorney, Assembly Bill 168 added section 432.3 to the California Labor Code. Under this law, employers cannot seek salary history information from job applicants or former employers. Employers are also prohibited from relying on salary history as a factor in determining whether to offer the applicant employment. Finally, employers cannot rely on salary history information as a factor in determining the salary for an applicant. There are some exceptions to this law, such as situations where salary information is publicly available, or where applicants provide salary information voluntarily and without prompting. In those situations, an employer can use salary history information to determine compensation and other benefits. Discrimination in wages is an ongoing problem for many women in the workplace. This type of inequality can be pervasive, as many employers discourage employees from discussing their salaries. 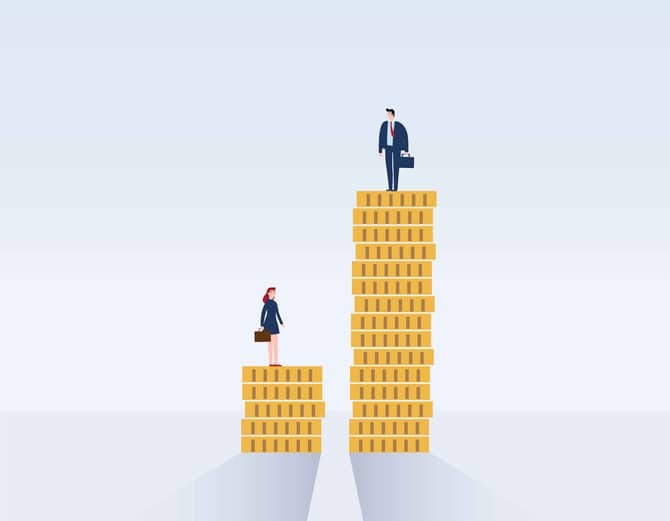 Without information on what their colleagues are making, female employees may not be aware that they are being underpaid as compared to their male counterparts. There are remedies available if you have been subjected to any type of discrimination in the workplace. An experienced California employment discrimination attorney can work with you to determine if you may be able to pursue a legal claim based on the facts of your case. In some situations, an employer’s attempts to remedy the problem — such as Disney giving significant raises to female employees — could demonstrate awareness that there was a problem with pay inequality. For more than 40 years, the skilled legal professionals of PLBSH have represented employees as they seek justice. If you have suffered discrimination in the workplace, we can help. Contact us today at (800) 435-7542 or info@plbsh.com to schedule a consultation with a seasoned California employment discrimination attorney.